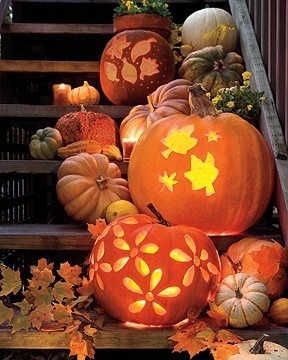 I am so gloriously happy that Autumn is finally here! Granted it's still in the 90's here, but at least knowing the temps will start cooling off is good enough for me. 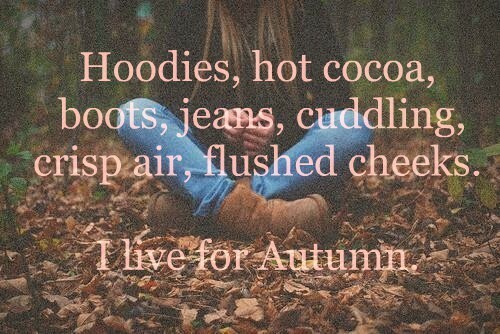 Here's some of my favorite things about Autumn... all can be found on my pinterest page. 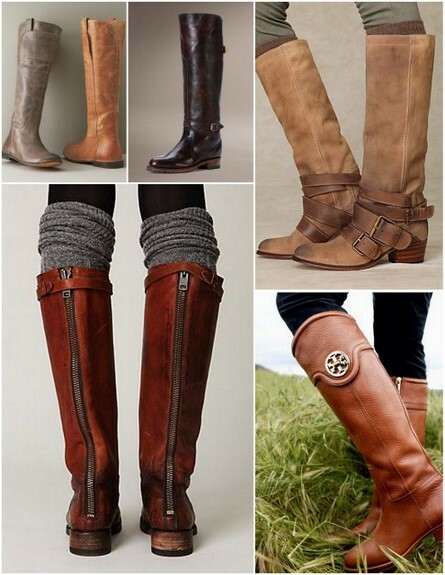 Boots! Y'all know my love for boots. I'm actually looking at getting a pair of cowboy boots to complete my collection! They are super comfy, cute & go with almost all outfits. Gosh I'm ready to break out my boots! Cute & Comfy Clothes. Give me a comfy pair of jeans, a cute sweater and a nice set of flats and I'm set! Anything warm and cozy makes me happy.